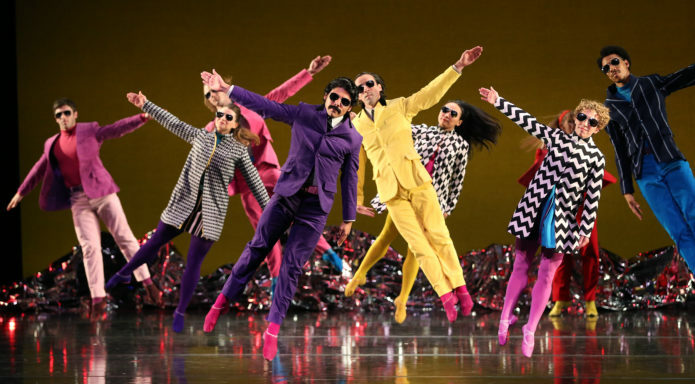 As Mark Morris Dance Group swings into town with Pepperland – a unique tribute to The Beatles’ iconic Sgt. 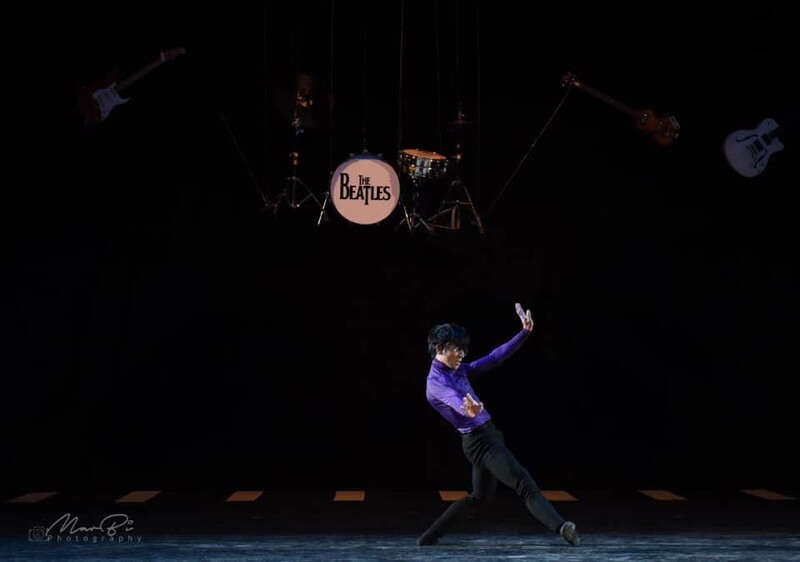 Pepper album – we take a look at the rich smorgasbord of dance works inspired by the music of The Fab Four. Cirque du Soleil’s Grammy Award-winning circus spectacular has been resident in Las Vegas since 2006, and seen by over eight million people. A cast of world-class aerialists, acrobats and dancers bring to life The Beatles’ classics in this huge feast for the senses – from a slow-motion aquatic ballet to ‘Octopus’s Garden’ to Lucy quite literally in the sky with diamonds. Using master tapes recorded at Abbey Road Studios, the music director is Giles Martin, son of the legendary Beatles producer Sir George Martin. Washington Ballet’s British Invasion programme (2006) paid tribute to the mid-60s phenomenon which saw British bands break through to the US, with two evocative rock ballets. In Trey McIntyre’s A Day in the Life (originally titled Always, No Sometimes), eight dancers clad in white interpret some of The Fab Four’s later output – from the contemplative ‘Mother Nature’s Son’, to the carefree ‘Ob-La-Di, Ob-La-Da’, to the psychedelic ‘A Day in the Life’. Christopher Bruce’s Rooster, set to the music of The Rolling Stones, completes the programme. Choreographer Martin Lawrance grew up listening to The Beatles and draws on his personal love of their music in his new work for Ballet Manila, The Winding Road, which receives its world premiere this month. Pepperland comes to Sadler’s Wells on 20-23 March. Tickets are priced from £15. To book, call the Ticket Office on 020 7863 8000 or book online. 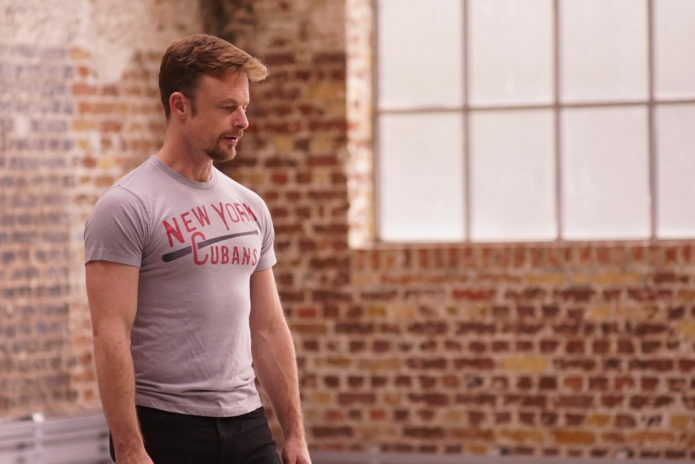 “I have never found it hard to turn a corner and walk down a new pathway without a map,” says Sadler’s Wells’ Associate Artist Christopher Wheeldon, with a grin. “I know most people like to know where they are going, but I struggle with that notion. It’s not who I am at all. Maybe I will turn the corner and there will be a precipitous drop that I’ll step off, but the risk-taking and the potential for disaster in the end is actually quite good fuel for creativity. He laughs. When you first meet him, Christopher Wheeldon is the man least likely to be branded a risk taker. He is calm, polite and – despite years living in New York – still has the demeanour of the nice boy from Somerset that he is. But in more than 20 years as a choreographer and a director, he has changed directions numerous times. This means he has built a body of work that is essentially uncategorisable from the Broadway musical An American in Paris, to pure classical ballet works for the Royal Ballet and New York City Ballet among other companies, to more contemporary pieces such as Us for BalletBoyz. It all started in 1993, when, at the age of 19, he defied his destiny. Having trained at the Royal Ballet School and seeming to be on track to spend his entire career with the company, he used the airline flight he won in a competition to go to New York and talk his way into New York City Ballet. Four years later, he became the company’s first resident choreographer. Since then, he has been constantly busy, but his career has taken many twists and turns. He has founded his own dance company and watched it fold due to lack of funds; he has won a Tony for best choreography, for his award-winning rethinking of An American in Paris, which he also directed and has enjoyed worldwide success. He is an Artistic Associate of the Royal Ballet, where he made the hugely popular The Adventures of Alice in Wonderland, a three-act ballet, as well as numerous smaller works. 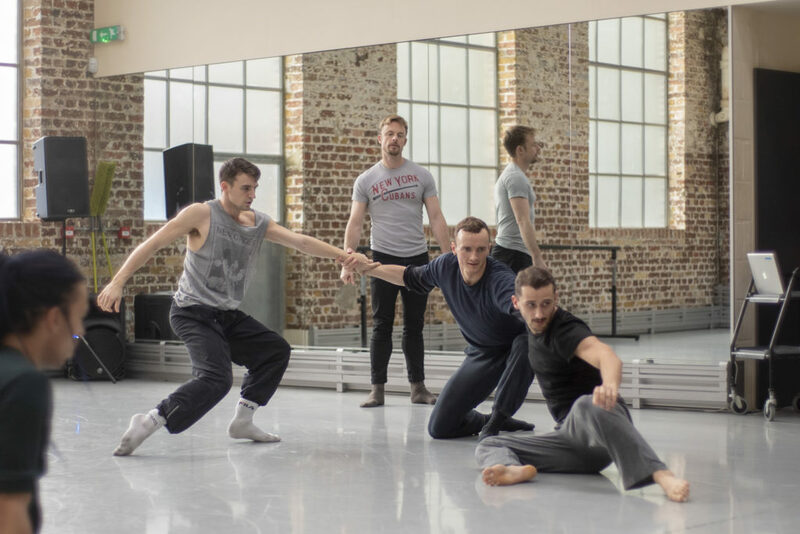 Christopher Wheeldon in rehearsal with BalletBoyz. Now, in collaboration with the Michael Jackson Estate, he is working on a musical about Michael Jackson, alongside the Pulitzer prize-winning American playwright Lynn Nottage. Called Don’t Stop Till You Get Enough, it focuses on the moment, in 1992, when Jackson was preparing for his Dangerous World Tour. It is due to open in Chicago in October 2019, before moving to Broadway in 2020. He accepts he is unlikely casting for such a job. “The first thing I said to them was, ‘Do you know who I am?’” He is looking forward to the challenge, in the same way he did when he took the much-loved movie An American in Paris and put it on stage in a radical new form. “I love doing such different things and being all over the place. I have to use my brain in different ways, and I think that’s what’s stimulating about being able to jump between different forms of dance and theatre. He has known the company’s founders, Michael Nunn and William Trevitt, since they were all at the Royal Ballet School together. “They were both seniors when I was a junior. And I love being able to say that now,” the 45- year-old says, with another laugh. They bonded when Nunn and Trevitt accompanied him to Moscow in 2006, where Christopher was choreographing his first piece for the world-famous Bolshoi Ballet. The commission turned into a saga of disaster, only retrieved at the last minute; the story was recorded in Strictly Bolshoi, an engrossing tale of triumph snatched from the jaws of defeat. Since then, Christopher has been a regular contributor to the Boyz’s endeavours. His latest piece will be presented in a double bill, alongside a piece called Them choreographed by the all-male company themselves. “I love the way that they are always thinking a lot about how to make their programmes entertaining. How we can make challenging, complex dance more accessible to a broader audience,” Christopher says. “They are very creative in the room and really hands on, in a way that I think contemporary dancers tend to be more than ballet dancers anyway. 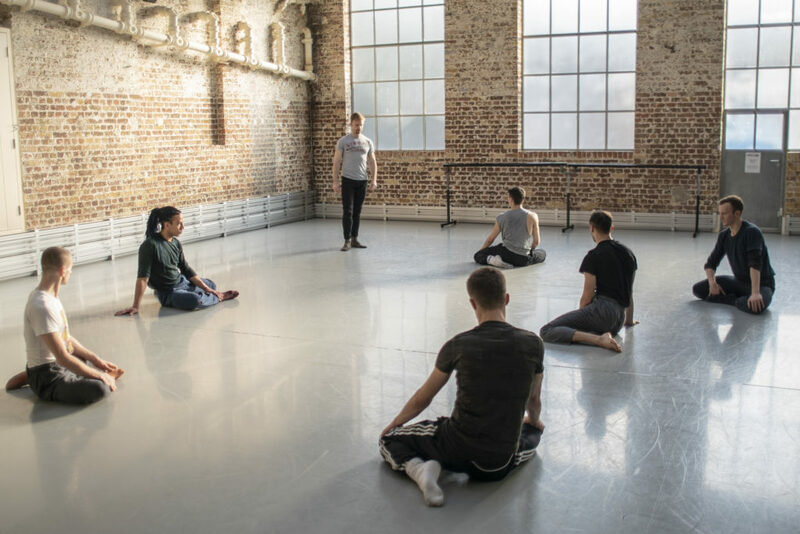 Ballet dancers wait to be told what to do, and there’s an etiquette and a politeness about rehearsals that doesn’t exist so much in the contemporary dance world, and certainly doesn’t exist with the Boyz. BalletBoyz return to Sadler’s Wells with Them/Us on 5 – 9 March. Tickets are priced from £15. To book, call the Ticket Office on 020 7863 2000 or book online. Our Artistic Director and Chief Executive Alistair Spalding was honoured with a lifetime achievement award by the International Society for the Performing Arts (ISPA). He received the International Citation of Merit for distinguished service to the profession at a ceremony held at TheTimesCenter in New York last month. “He is the international leader in presenting all forms of dance, from small to large scale,” read his nominating statement. The honour was bestowed on him in recognition of “unique lifetime achievement that has enriched the international performing arts”. Margaret Selby gives Alistair ISPA’s lifetime achievement award. Photo: Christopher Duggan. “In 2004, when Sadler’s Wells placed Alistair in charge, he took over a somewhat sleepy institution that was ripe for change. 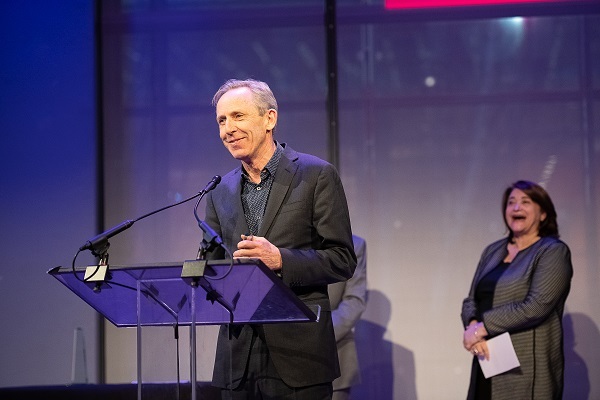 Today, because of his vision and determination, Sadler’s Wells is one of the most respected dance institutions in the world,” said arts management agent Margaret Selby, who presented him with the award. “Currently [working on] launching a fourth theater, a new centre for choreographic practice and a hip hop theatre academy, the first of its kind in the UK, Sadler’s Wells is revered for programming that fills houses with enthusiastic audiences. 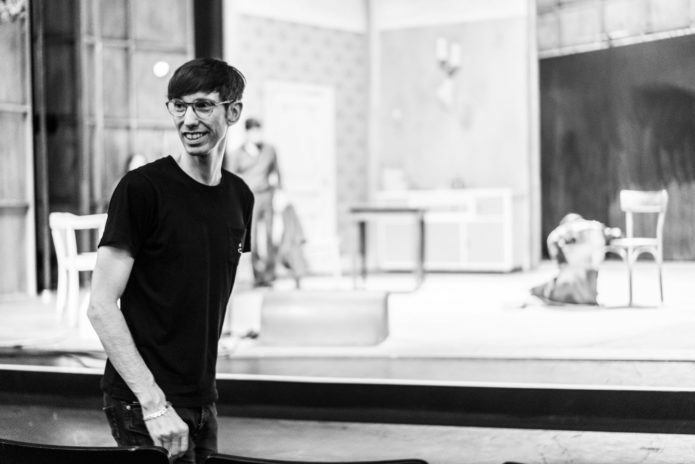 Since 2005, Alistair has driven the commissioning, producing and co-producing of more than 170 productions that are continuing to tour across the globe. And because of his unmatched reputation for risk taking, Sadler’s Wells is the model for how producing and presenting houses can and should thrive. Alistair is persistent in his search for the art and the artists that he can believe in. Crystal Pite, Akram Khan, Sidi Larbi Cherkaoui, Hofesh Shechter, Matthew Bourne and Jonzi D are just a few of the stellar artists of our time whom Alistair has encouraged to create new work. Choreographers and dancers adore him and Sadler’s Wells is where they want to be. 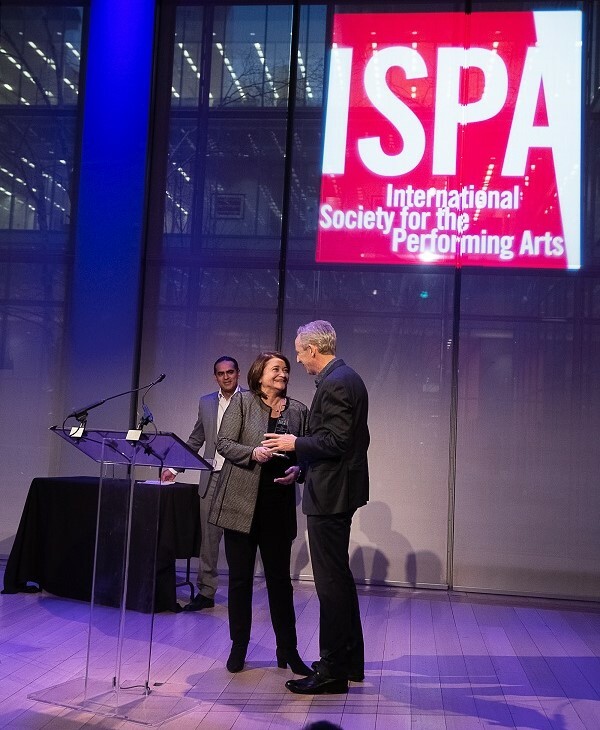 ISPA is a global network of 500 leaders in the performing arts, with representation from more than 185 cities and all regions of the globe. Its mission is to strengthen the performing arts globally through the advancement of leadership, the exchange of ideas and by fostering a diverse and engaged membership. The organisation helps professional and personal development in the performing arts through its membership programme, bi-annual congresses and other projects, including regional initiatives and a sought after fellowship. You can read more about Alistair’s career on our website here. As the son of a dresser, Alan Lucien Øyen grew up in a small theatre; the Den Nationale Scene (established by Ibsen himself) in the town of Bergen, Norway. Here he would watch theatre religiously from the age of seven: classical productions as well as contemporary masterworks. Inevitably, he went on to establish himself as a writer, director and choreographer, winning international acclaim that did not go unnoticed by one of the most pioneering dance theatre companies in the world, Tanztheater Wuppertal Pina Bausch. A decade on from the tragic loss of its founder, Alan was the first choreographer in that time, alongside Dimitris Papaioannou, to be invited to create a new dance work for the company – a once-in-a-lifetime opportunity that would carry a huge weight of responsibility for even the most self-assured of artists. We spoke to Alan about the challenges of the creative process, meeting the dancers for the first time, the influence of cinema and his earliest memories of the iconic Pina Bausch. Can you describe the moment you were asked to create a new work for Tanztheater Wuppertal Pina Bausch? I remember standing in the midst of winter outside the white marble Opera House in Oslo watching the frozen fjord. My fingers were similarly frozen from holding the phone talking to Adolphe (the company’s former Artistic Director). I remember the moment as I hung up the phone as completely still. A feeling of total humility, for sure – but also tremendous excitement. The moment’s burnt into my mind. When did you first encounter the work of Pina Bausch? My first encounter with Pina’s work was a little clip played back on a VCR in dance history class in 1998. I was still a young student at the time, completely underexposed to the world of dance. I believe it must have been a scene from the Chantal Akerman documentary One Day Pina Asked. Nazareth, Helena, Bénédicte, Dominique, (all the legendary performers that are still in the company), were dancing and waiting in the sun in the courtyard of Palais des Papes in Avignon. I remember thinking this was so strange. I couldn’t understand. It broke all my preconceptions and expectations of what I knew dance and theatre to be. It was strange – and wonderful! 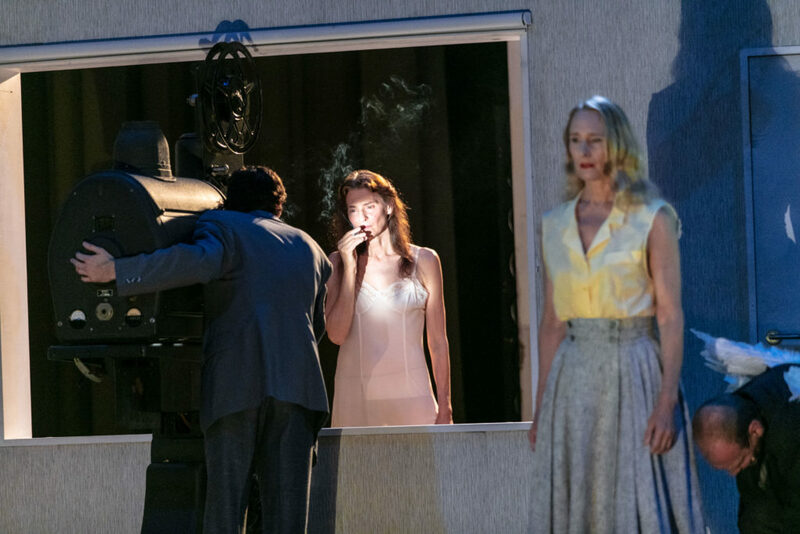 But, by the time I first got to see Pina’s work live on stage, she was already dead it was Viktor at Théâtre du Châtelet, September 2016. Always when experiencing Pina’s work, I feel this tremendous excitement: a reinforcement that the stage is a truly wonderful, magical place where everything can, and should, happen. As a creative artist I feel liberated when seeing her work, and afterwords: moved, saddened and stricken… It has such tremendous impact. What was your first day in rehearsal like? Walking into the Lichtburg, not knowing where to put my bag; knowing it was a ‘temple’ (that’s what it felt like). And there was an empty seat in the room. You could feel it. Wherever I looked was history, and humility: her dancers. I remember my voice trembling as I first spoke to them – we were sitting in a large circle, all 36 dancers and myself. We spent three days sitting in that circle, getting to know each other. It was overwhelming how generously they opened up to me. Sharing their history, their lives. This is something I will never forget. The next three days we didn’t speak – we worked. I remember crying through closed eyes, and smiling through tears as they presented their movements, scenes and ideas. “Close your eyes and I’ll dance for you”, said Julie Shanahan. The whole experience was a tremendous gift. I realise now it was their way of welcoming me, telling me – telling all of us – it will be ok. This was the first time the whole ensemble created together after Pina. I’m so honoured to have been part of that experience. All of her dancers – young and old – are incredible. I’m in awe of all of them and still somewhat in a state of disbelief to the fact I’m offered to work with them. How do you approach the creative process with a new dance work? I wait. My work always begins and ends with the performers. We wait together. 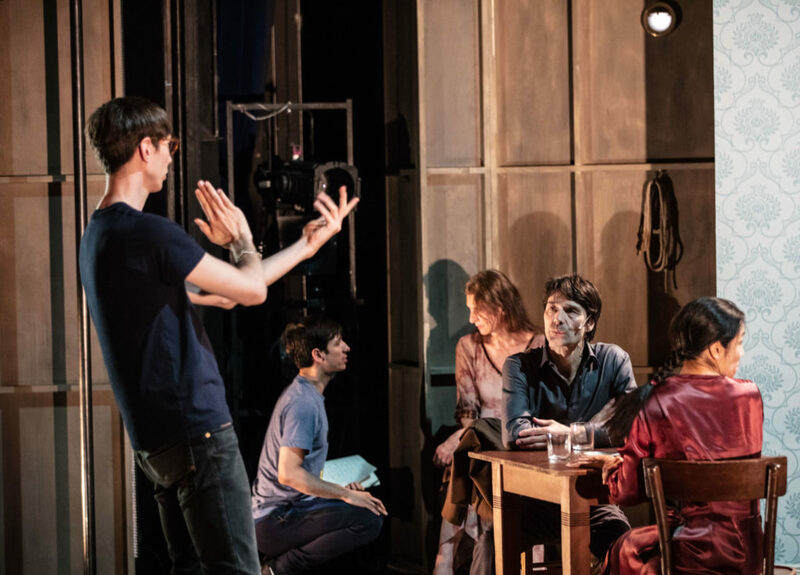 Whether it is creating text or movements – theatre or dance – it always originates in encounters with real people and real stories: the performers themselves. Fictionalised realities of real encounters. We will spend a lot of time getting to know each other, so that together we can create the performance that best fits us now. I want to learn from them; from their experience. From their lives just as much as their experience from the stage. I’m working with a cast of 16 dancers, many with a lifelong experience from working with Pina, and some newer members to Pina’s family, who have already been affected by her work. As for now, we wait. Until something catches our attention, something strange or unusual that beguiles us, that we together can draw from, to create a new work. Life’s a waiting place… but “there is beauty in waiting”. The more I learn of Pina’s works and her process with her company, the more I realise how tremendous her influence was on the world of performing art: how we create new work of theatre and dance today. The weight of Pina’s legacy is tremendous. I had no idea how strong an influence she has had on my own work, through the knowledge that I have inherited from my teachers and choreographers that I have worked with, who in turn have been looking to Pina for inspiration and new ideas. The world is a small island. It’s strange, but creating in Wuppertal feels a bit like coming home. How does cinematographic art influence your work and choreography? I usually say that my pieces on the stage are excuses for not making movies. There is a truth to that, and I certainly go to great lengths to simulate, and borrow from film. I work a lot with collective memories in my work: universal stories that we believe to be our own. Cinema and television are great providers of these stories and memories that we all share. To me, therefore, it’s incredibly fluid and natural to look to cinema. As an audience we are very trained in the codes and rules of this highly visual medium. I try to play on these rules when working with light and sound in the theatre and when looking at choreography. The world of film is also a world of stories – I love to discover and learn from other people’s lives through the stories we tell. I’m very happy to be working on the stage, though, because there is a sincerity to be found in the live expression, never to be matched by any moment on screen. Tell us about the piece you have created, Bon Voyage, Bob. When people ask me what the piece is about I usually say I can’t say. Because the process – the conversations between the dancers and myself, with movements and words – will dictate this. And the process of a new work is something constantly shifting. I’m extremely interested in the current contradiction between fiction and reality. In the breaking point between the two. This is a recurring topic in my work: how we human beings invent our own narratives as we clamber through life. At the end of the day, my main interest is human beings. How do you deal with the pressure of historical weight? I try not to think of it. If I think of the historical weight of the project, it will break me – so I don’t. I’m lucky to sleep well at night. I have a good sleeping heart, as we say in Norway. But I have to keep pinching my skin every time I think of this tremendous opportunity, to reassure myself that I’m not dreaming. 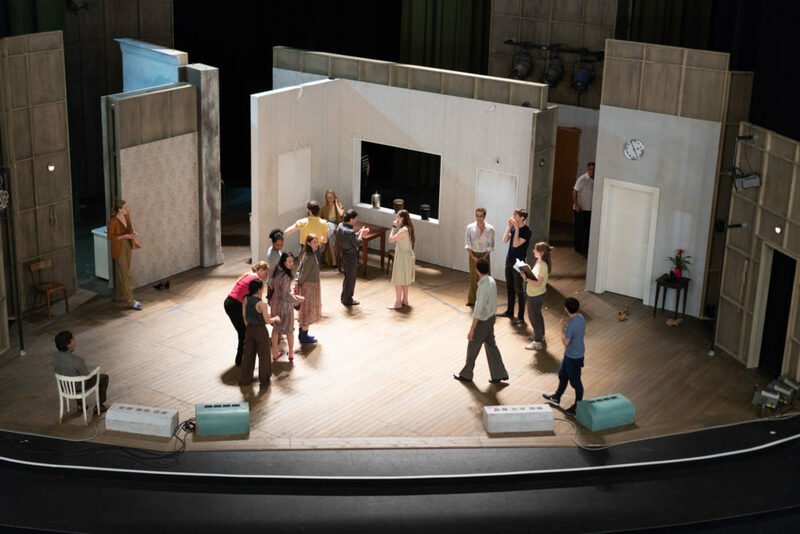 Tanztheater Wuppertal Pina Bausch return to Sadler’s Wells with the UK premiere of Bon Voyage, Bob from 22 – 25 Feb. Tickets are available now priced at £12 – £60. To book, call the ticket office on 020 7863 8000 or book online.